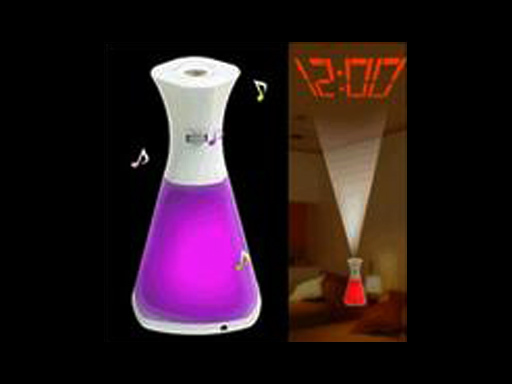 it is a fully functional alarm clock , it changes colors with 7 different choices . Your mood can be adjusted while the clock 's colors are changing . 4 Soothing Nature Sound (Bird chirp,Brook,Sea-shore and Windchimes) with 30 mins auto-off timer option. Living in a fast-paced society brings a lot of pressure and stress to people . How to relieve these problems has been an important project to researchers and scientists for years . 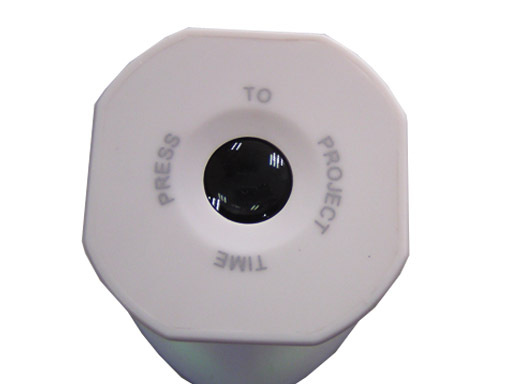 They have discovered that light and color change can bring a significant improvement on these problems . Time function with 12am/pm or 24 hours display format. 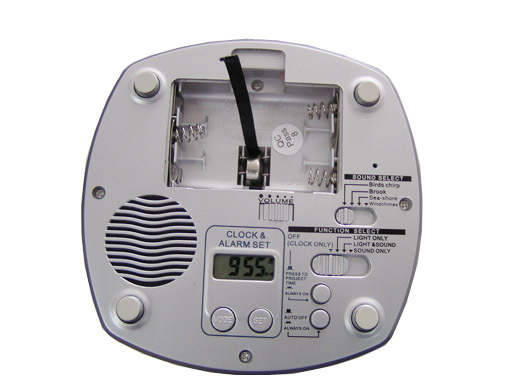 Alarm and Hourly Chime function..
Changing Colour Soothing Light with 30 mins auto-off timer option. LED projector clock upto 2.5 meters distance.